Integrated hardware, software, and curriculum systems allow students to record data from their own bodies, animal, or tissue preps to learn principles of life science physiology. 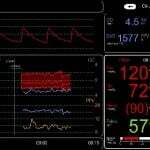 As the world's experts in measuring physiology anytime, anywhere, BIOPAC provides life science researchers with a full range of powerful and flexible hardware and software platforms, purposely designed to be the easiest path to obtaining great scientific data in lab, MRI, and real-world environments. BIOPAC Research Solutions enable you to record, analyze, or report hundreds of life science signals. To learn about a specific signal (ECG, EEG...) or measurement (HRV, RSA...), click below to search the Signals & Measurements index or to learn about the variety of data and analysis options related to an Application area, choose from the list below. BSL Analysis downloads provide a “Review Saved Data (RSD)” version of the Biopac Student Lab software for students to install on their own computer outside of the lab. BSL Analysis software works without any data acquisition hardware connected and can be installed on multiple computers. The Biopac Student Lab System is the total solution for a wide variety of scientific applications, including human, animal, organ and tissue studies. BSL Systems are available for general science—Basic, Advanced and Ultimate Systems—and core disciplines. Biopac Science Lab Systems provide the same proven teaching solution for secondary education. Lessons use pictures, video, and sample data to help ensure students collect good data. Select a core focus below to preview lesson objectives and methods. Support Resources for frequently asked questions and common setup or analysis issues are provided below, and many of these items are also included in the Help menu of BIOPAC Software. Choose tutorial videos, application notes, user guides, FAQ, and more. How come the “start” button in my software is grayed out and unusable? Home > Knowledge Base > How come the “start” button in my software is grayed out and unusable? Since version 4.1 of AcqKnowledge, there has been a preference setting that allows the software to “Always work with no hardware connected”. If the Start button is disabled when you launch the software and no error message is displayed at startup, then most probably the ‘no hardware’ preference has been enabled. Choose “Preferences…” from the “Display” menu of any AcqKnowledge graph window, click “Hardware” in the list at the left. Then look for a check box with text such as “Always work with no data acquisition hardware connected”. If this box has a check mark in it, click to uncheck it, and re-start AcqKnowledge. © 2019 BIOPAC Systems Inc.